What began as a champagne brunch hosted by Susan Fernandes and Anu Nagappa, both designers of 20 years, for their loyal customers has now turned into a stand-out event for youngsters who are wanting to showcase their creations under one roof. a�?We thought, instead of just meeting over some good food, why not make this an event for youngsters who have not exhibited their products before,a�? Fernandes says. Hence, the venue a�� No 10 Magrath Road a�� a colonial-styled bungalow over the past three years has turned into a hub for young designers who get together once every year, a�?to put up a show that is pure, organic, original and fun with no plastic, polyester or Chinese material,a�? emphasises Fernandes. This yeara��s collection will include an array of ethnic wear, fabric jewellery, designer stoles, hand-made leather footwear, silver jewellery, western clothes and more. And all of the 20 participating entrepreneurs have been hand-picked by her. Meet Rashna Joshua for instance. A designer from a little known village called Anandapuram in Andhra Pradesh will be showing her line-up for the first time at Pop-up. Her collection is mostly created from up-cycled fabric, left overs from tailors that go into the making of baskets, rugs, bags, a�?and anything that can be created out of it,a�? she says. Her products range from `200 to `5500. Merryn Mathew of iha will be showing her collection of saris that begin at `5,000 and go up to `20,000 curated from different parts of India. One can find saris in linen silk, tussar, kota silk as part of her collection. There are also a few saris with shibori work on them. Anu and Susan too will be showing their handloom-woven, printed fabrics in western wear including coat dresses, kalamkari prints in short and trendy dresses, mul mul kurtas and luxury silk farsi pants. 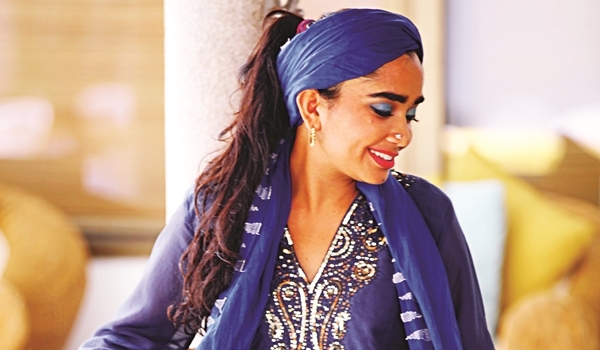 Arnav, the jewellery brand, will showcase their latest collection from a range of temple jewellery to their trademark Penina and Errita a�� a trendy collection of pearls and textured gold apart from their silver line called Chimla. Be rest-assured that the two-day event is not all about fashion, there is plenty of food too. Freshly cooked Mangalorean food by Anne Narielwala is on offer, and we hear her prawn pickles are to die for! The event will also feature a cheese maker from Pondicherry apart from delicious baked products by Charms Baked Goodness, handmade chocolates by Mubeena Shariff, and organic jams by Marthaa��s preserves.